What do People Want From Better Broadband and Cloud Storage? Some time in 2008, the number of things connected to the Internet exceeded the number of people on Earth. And those aren't just computers or smartphones, but everything, including wireless sensors on ...	cattle so that the farmer gets a message when a cow is pregnant or sick. 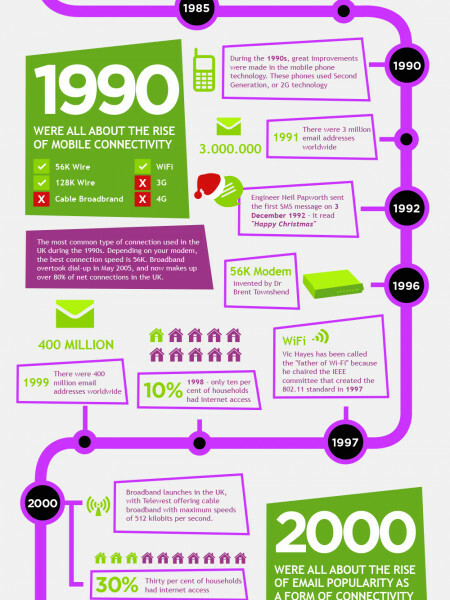 This infographic shows us how connected to the Internet everything in our lives is today -- and what the future holds.